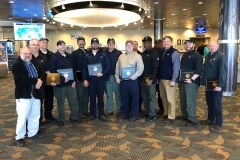 HMMA NAMES SECOND ANNUAL VOLUNTEER OF THE YEAR | Hyundai Motor Manufacturing Alabama,LLC. 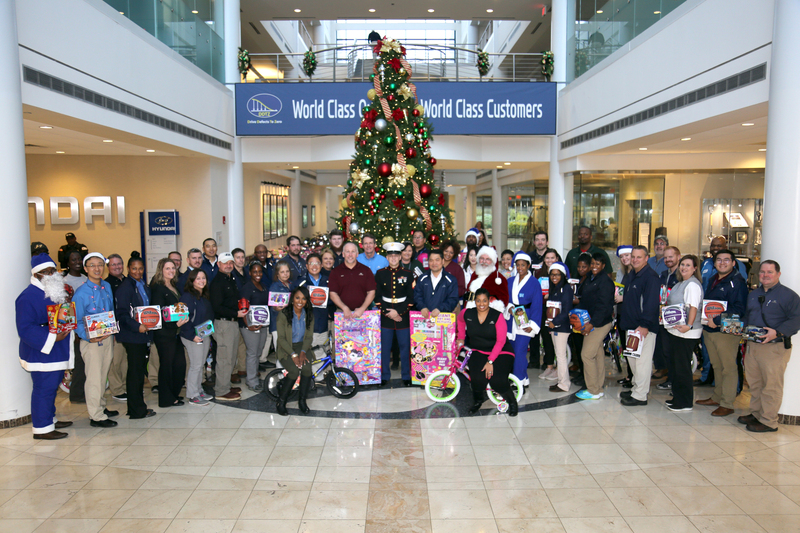 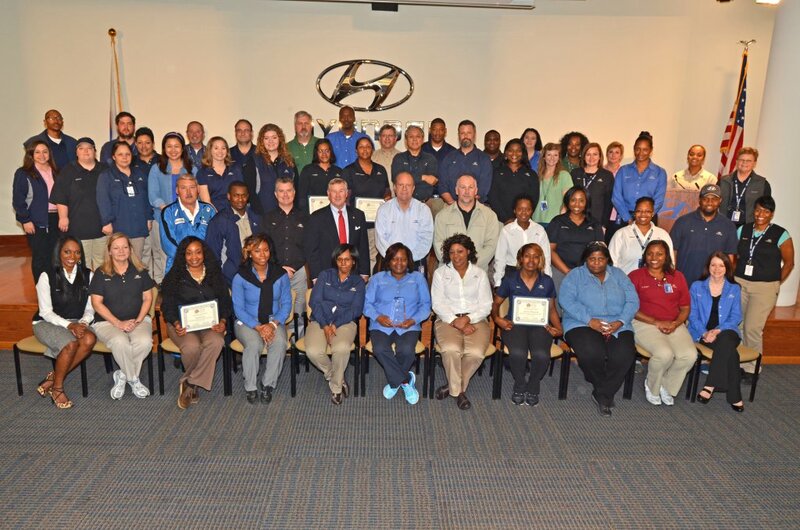 On December 11, 2015, Hyundai Motor Manufacturing Alabama (HMMA) honored team members who have given of their time and energy to help others in our community at HMMA’s second annual Hyundai’s Helping Hands recognition luncheon. 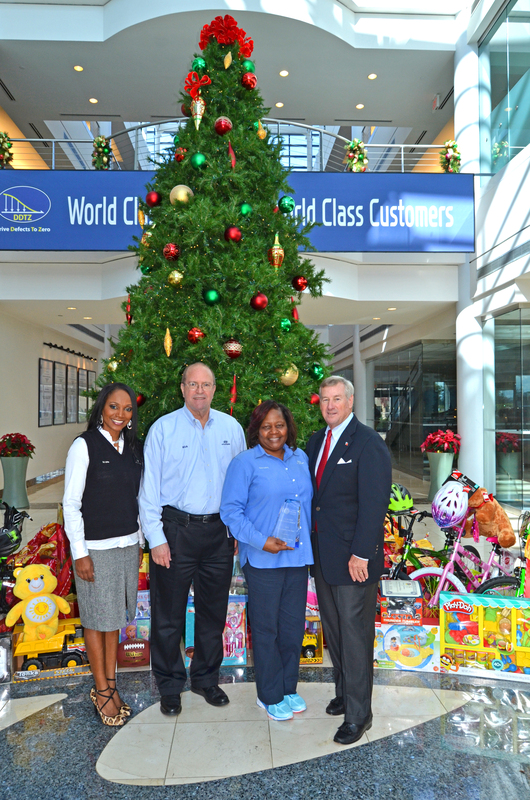 At the luncheon, HMMA’s 2015 Volunteer of the Year was named. Nearly 70 team members we recognized for their volunteer service, and team member Dorothy Webster from the paint department was named Volunteer of the Year. 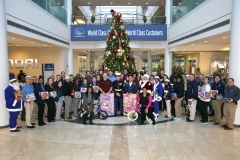 The Hyundai’s Helping Hands Recognition Program is based exclusively on volunteer community service during HMMA-sponsored events. 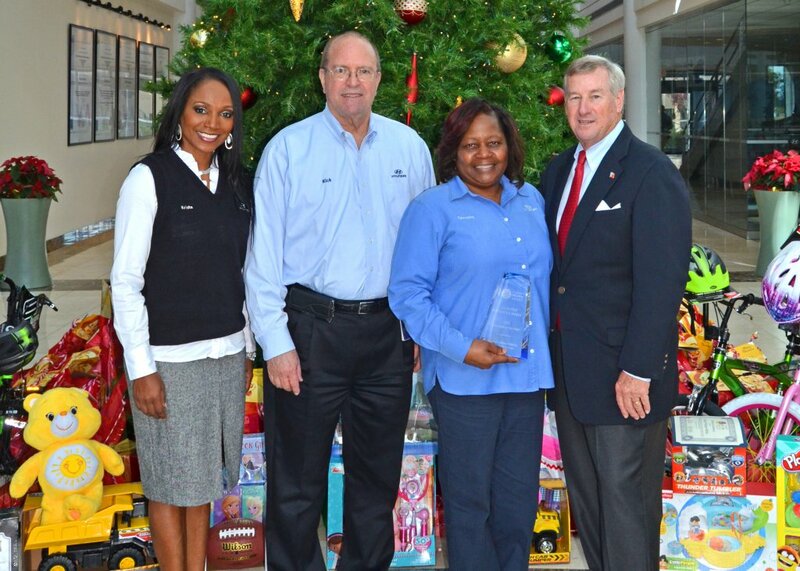 Photo Caption: Montgomery Mayor Todd Strange, HMMA Sr. Vice President of HR and Administration Rick Neal, and HMMA Community Relations Specialist Krista Hawkins present Dorothy Webster with HMMA’s 2015 Volunteer of the Year Award.